Let me start by saying, you get what you pay for! Pros:It's pretty! (That's it) Cons:1)The holes are not aligned correctly2)I was short 6 screws, which in turn made it unstable3)The longs are not and even height, so when sat upright it wobbles4) the holes for the screws for rusting to the point that I went to my car and got the \"WD40\"I've assembled IKEA furniture faster and more accurately than this. I feel the only reason I managed to even complete the assembly is because I'm a pretty handy woman and have extra screws,washers and a hole drill kit. So, no o will not recommend nor purchase from this company ever again. I'm actually going to just donate this set and shop around in person. 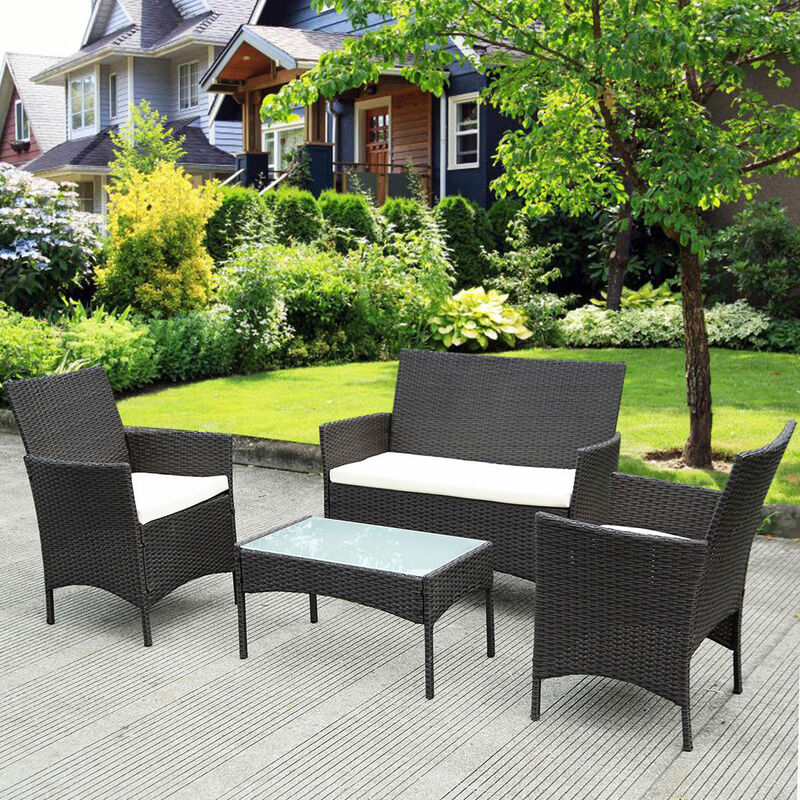 Home territory searches the web to find the best prices and availability on Wicker and related products foir your home like Costway 4 PC Patio Rattan Wicker Chair Sofa Table Set Outdoor Garden Furniture Cushioned. For this page, related items include products we find that match the following keywords: "Wicker" at our vendor partner Walmart - Click More Info / Buy Now to check for price rollbacks!. Costway 4 PC Patio Rattan Wicker Chair Sofa Table Set Outdoor Garden Furniture Cushioned is one of 91 Wicker and related products available for sale through HomeTerritory.com, If you have any questions on this product, please give us a call at 734-971-1210 during the hours of 9am - 5pm EST for assistance. Thank you for shopping at Home Territory, the home furnishings superstore!